(JTA) — In their central Jerusalem apartment, Natan and Avital Sharansky can hear their new upstairs neighbors chatting in French on their patio. The young family moved into the penthouse earlier this month, shortly after immigrating to Israel with help of the Jewish Agency for Israel — the semi-official organization for Jewish immigration to Israel, or aliyah, which Natan Sharansky has headed since 2009. The family is part of a major increase in aliyah from France, amid rising levels of anti-Semitism and economic stagnation in that country. In 2014, 6,668 French people made aliyah — a record number of newcomers in a single year from France — making that country the largest provider of Jewish immigrants to Israel for the first time in a given year. But the Sharanskys and others don’t need data to confirm the influx of French arrivals. They are in plain sight from Ashdod, where shop signs assure prospective customers that they have French-speaking staff, to Netanya, where some taxi drivers use broken, newly acquired French to communicate with tens of thousands of Francophones now living in the city. Their presence is evident in Jerusalem, too. The influx makes 5775 “the year of the aliyah of choice,” according to Sharansky, who spent years in Soviet jails for his endeavors to make aliyah from his native Donetsk in present-day Ukraine. 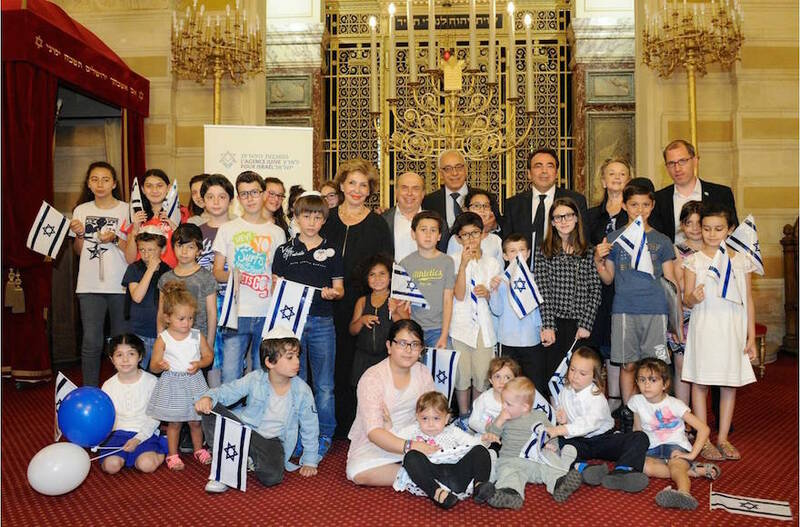 This wave of olim from France — a Western and relatively affluent democracy — is a major achievement for Israel and reward for Sharansky’s efforts to reshape the Jewish Agency after it had been defined by decades of “aliyahs of necessity” from war zones as well as failed or dictatorial regimes. Increasing aliyah of choice was one of Sharansky’s major goals from his first day in office. Under his chairmanship, the Jewish Agency transformed from a bureaucratic, almost militaristic apparatus where individual olim’s wishes were not a priority to a service provider and facilitator. The organization now employs consultants and professional problem-solvers who offer an array of preparatory sessions tailored to particular olim groups, like pensioners or families. Unlike North American Jews, who immigrate to Israel at a steady rate of approximately 3,500 people each year, French immigrants to Israel can also be seen as olim of necessity because many are fleeing anti-Semitism, Sharansky conceded. He last visited Paris in January, just two days after an armed Islamist gunned down four Jews at the city’s Hyper Cacher kosher shop. He spoke there to French Jews who were too fearful to wear their kippahs on the street, who told him they would immigrate to Israel because they feel they’re being chased out of their homeland. Yet, Sharansky pointed out, nobody is forcing these emigres to Israel. Meanwhile, aliyah of necessity is also making a comeback, with nearly 10,000 people leaving war-torn Ukraine for Israel over the past 18 months. During that period, more Ukrainians moved to Israel than during the preceding five years. Since the eruption last year of a civil conflict in the country’s east, aliyah figures from Ukraine increased dramatically, reaching 5,840 emigres in 2014 — a 190 percent increase over 2013. In the first half of 2015, Israel saw the arrival of 3,450 Ukrainians compared to 2,592 French Jews. Unlike French citizens, Ukrainians need visas to live in — or even visit — European Union member states. For Ukrainian Jews, Israel is often the only Western country willing to take them in. In parallel, immigration from Russia is also increasing due to the depreciation of the Russian ruble and the erosion of civil liberties under the government of Vladimir Putin, Sharansky said. In the first six months of 2015, a total of 2,958 Russian Jews – mostly from affluent cities like Moscow and St. Petersburg – made aliyah, compared to 1,944 in the corresponding period last year. “They don’t want to be locked in if the doors close again,” Sharansky said. The Jewish Agency is well versed in handling immigration of that sort. As recently as 2013, aliyah from the former Soviet Union, Ethiopia and developing nations accounted for 50 percent of the total of 19,558 newcomers. But last year, aliyah from those countries accounted for 45 percent of the 26,627 total, with Western countries — France, especially – providing the difference that tipped the scale in favor of aliyah of choice. READ: A ‘Fiddler on the Roof’-inspired refugee camp for Ukraine’s Jews? Still, Sharansky has limited hope for attracting great numbers of Jews from Ukraine – home to European Jewry’s second largest community with roughly 360,000 Jews – and Russia, where 250,000 Jews live. Indeed, the vast majority of Ukrainian Jews have thrown in their lot with their young, anguished country. Thousands of Jews from the war-torn east — where secessionist militias backed by Russia are still fighting government troops despite a truce — live in refugee-camp conditions or with relatives, preferring to wait out the storm rather than emigrate. In Kiev, middle-class Jews, whose life savings have lost half their value, are waiting for better days. Many feel solidarity with their country, where anti-Semitic incidents are relatively rare. By contrast, Jews in Western Europe often speak of feeling singled out in the wake of attacks like the one at Hyper Cacher or the slaying of a Danish Jew in February outside his synagogue in Copenhagen. Mr. Fitoussi, a regular shopper at Hyper Cacher who declined to give his first name, said he decided to leave for Israel next year after he was called a “dirty Jew” on his way to synagogue, even though he was wearing a hat at the time over his kippah to avoid exactly that kind of situation. He chose Israel because “It’s just a continuation — a correction, perhaps — of life in France,” he said. “A house in Paris will be a house in Jerusalem and the house in Netanya will replace the one in Deauville,” he said, in reference to a beach resort popular among Parisian Jews.